There is only one winner, but many feel victorious. 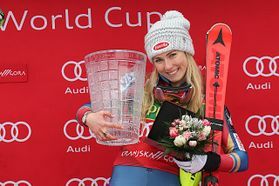 Mikaela Shiffrin confidently takes it all with great lead, yesterday's GS and today's world cup slalom, earning herself the golden and diamond fox for Pohorje Cup. Organizers from Maribor joined forces with fellow organizing teams from Gorenjska and won the race organization challenge. Atle Skaardal awarded them with grade 5 for making the right decision of moving to Kranjska Gora, which went perfectly and impeccably and for an excellently prepared racecourse. Majority of racers gave many compliments regarding the racecourse preparation too. 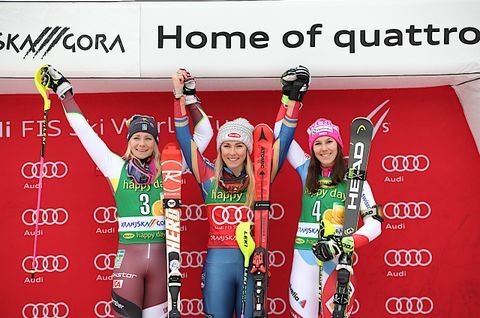 Bernadette Schild, placing 3rd in 2014 in Podkoren, made a progress in the second run. Top three placements remained unchanged, even though Swiss racer attacked first and Swedish racer did not give in. American only increased her lead. Among Slovenians, only Maruša Ferk earned some points and progressed for one place. Unfortunately, due to Klara Livk's fall in the finish area. 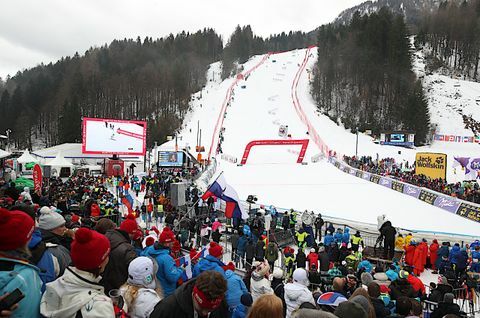 However, rainy weather and a bit disappointing results of Slovenian team could not bother 4.000 loud fans in Podkoren.